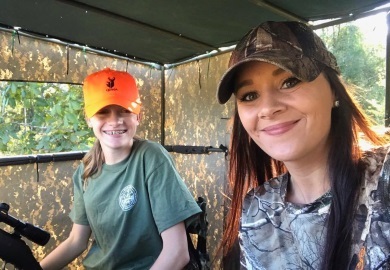 Legislation passed by the South General Assembly earlier this year will provide new, additional deer hunting opportunities for youth in South Carolina. The law specifies that youth deer hunting days on private land will be held the Saturday before the regular Game Zone deer season opening. This special opportunity is for youth 17 years old and younger. Youth hunters who have not completed the hunter education program must be accompanied by an adult at least 21 years of age. This law also changed the requirement for youth hunters who have successfully completed the hunter education program; these youth are no longer required to be accompanied by an adult on scheduled youth hunting days. Adults may guide and supervise the youth, however, only the youth may take or attempt to take a deer. Additionally, requirements for hunting licenses and tags are waived for youth on these dates. On these days (dates listed below), the bag limit for youth hunters will be one (1) antlered deer (no antlerless deer may be harvested). There are no weapons restrictions for youth deer hunters on these days; they can legally hunt with centerfire firearms, primitive weapons or archery equipment. As in the past, there will also be a Youth Deer Hunt Day on the Saturday following the close of deer season on private land and on many Wildlife Management Areas. Helpful Hint: Hunters, plan ahead and be prepared for a successful hunt. Check with your local deer processor and see if they will be open and taking deer on this pre-season hunt day.